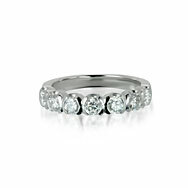 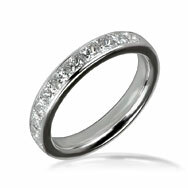 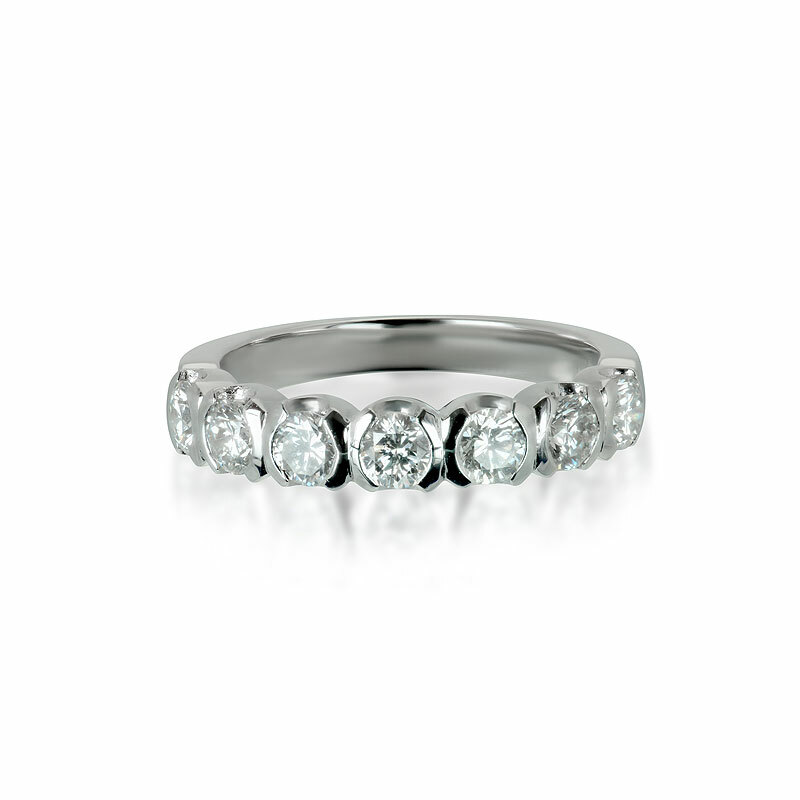 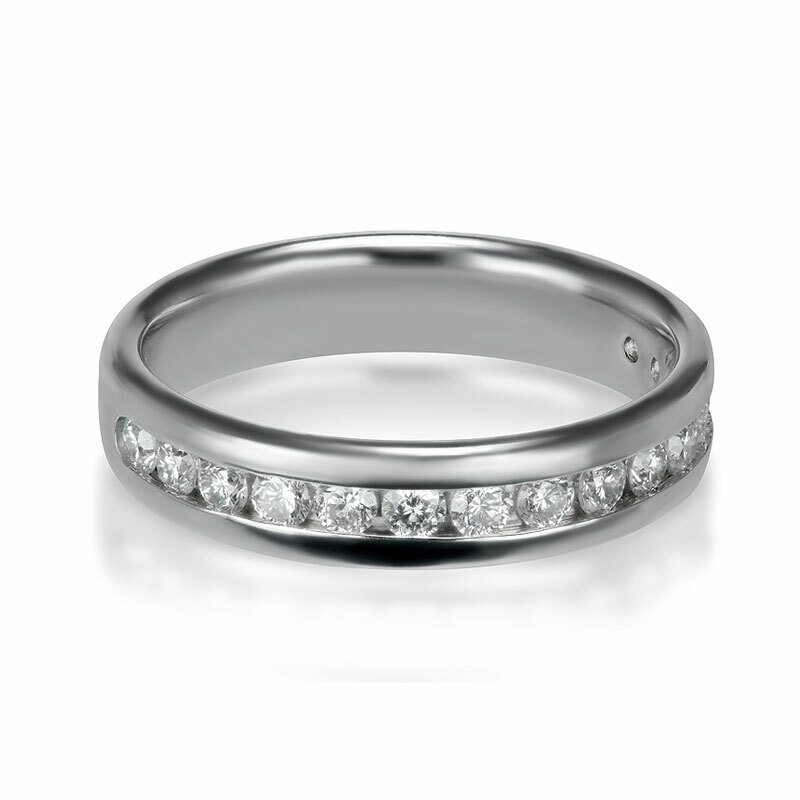 This full set band contains 4.8ct of sparkling diamonds. 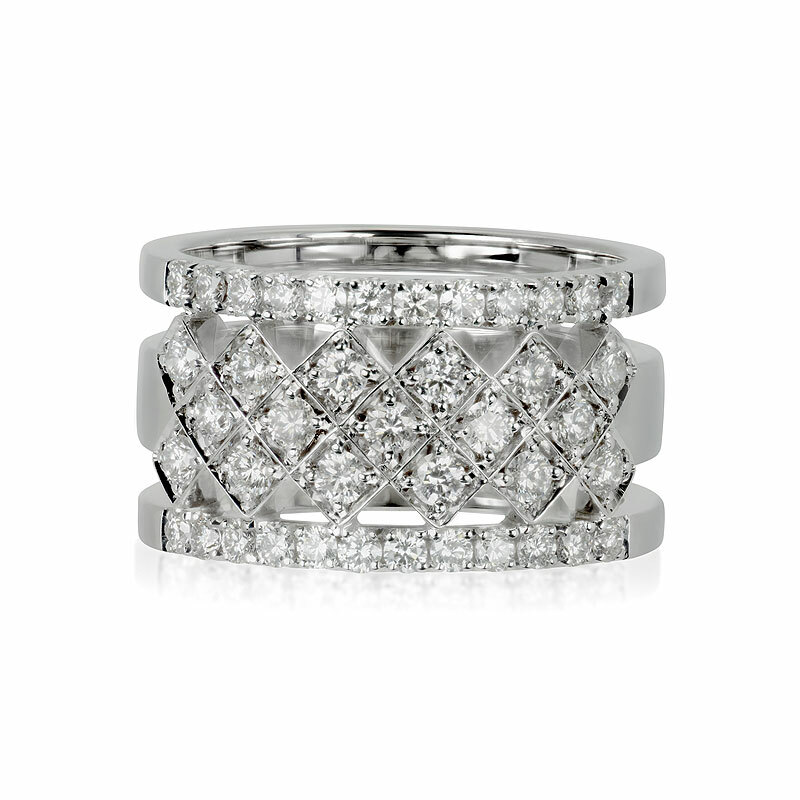 A beautiful diamond ring featuring two lines of pavé set all the way round at both edges of the ring. 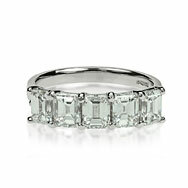 A channel set line of matching diamonds. 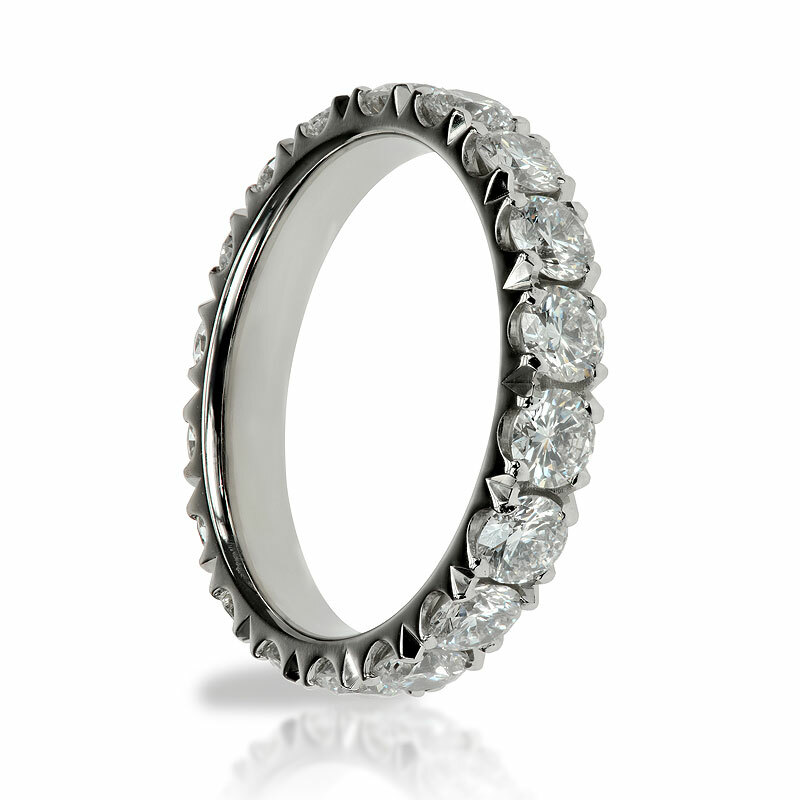 A contemp-orary seven stone ring featuring same size round brilliant cut diamonds held in a semi rubover setting and mounted on a D-shape band. 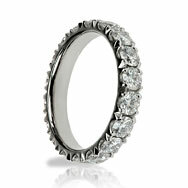 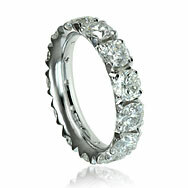 A seven stone eternity ring with equal size round diamonds held in a twist style setting. 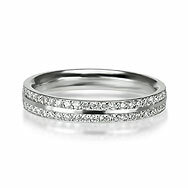 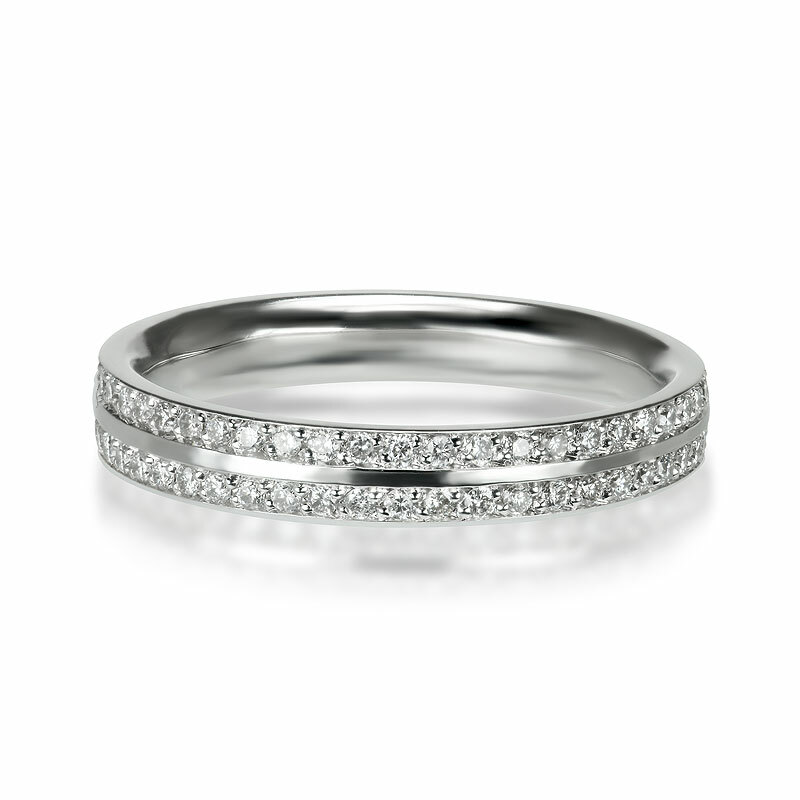 A full set micro pavé diamond band. 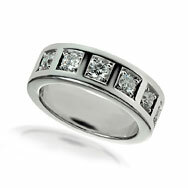 Ideal to wear with other rings. 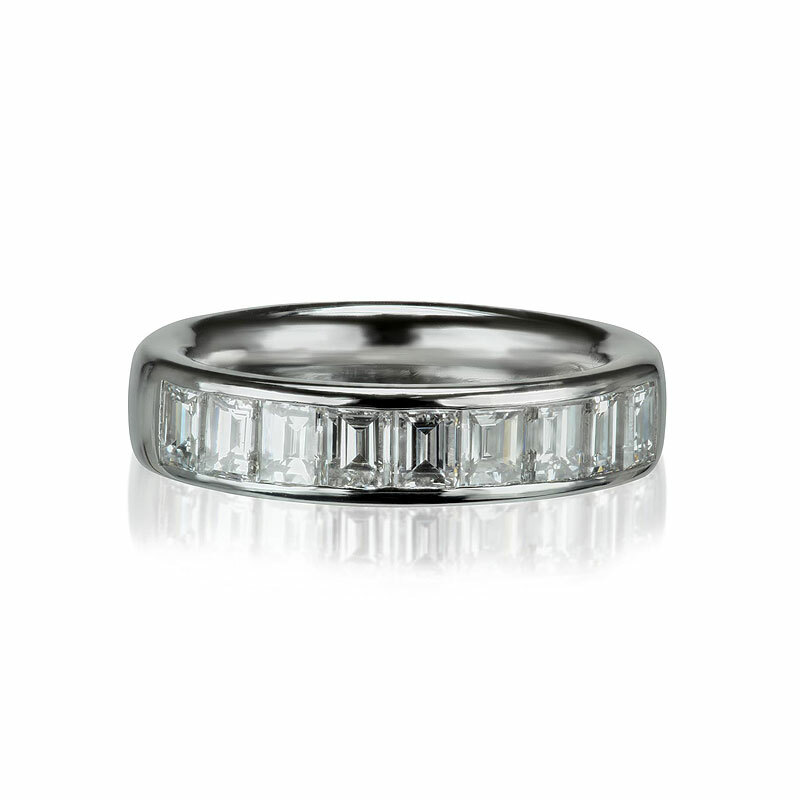 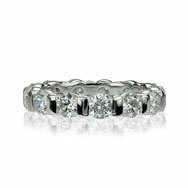 A full set pavé diamond band with smooth edges. 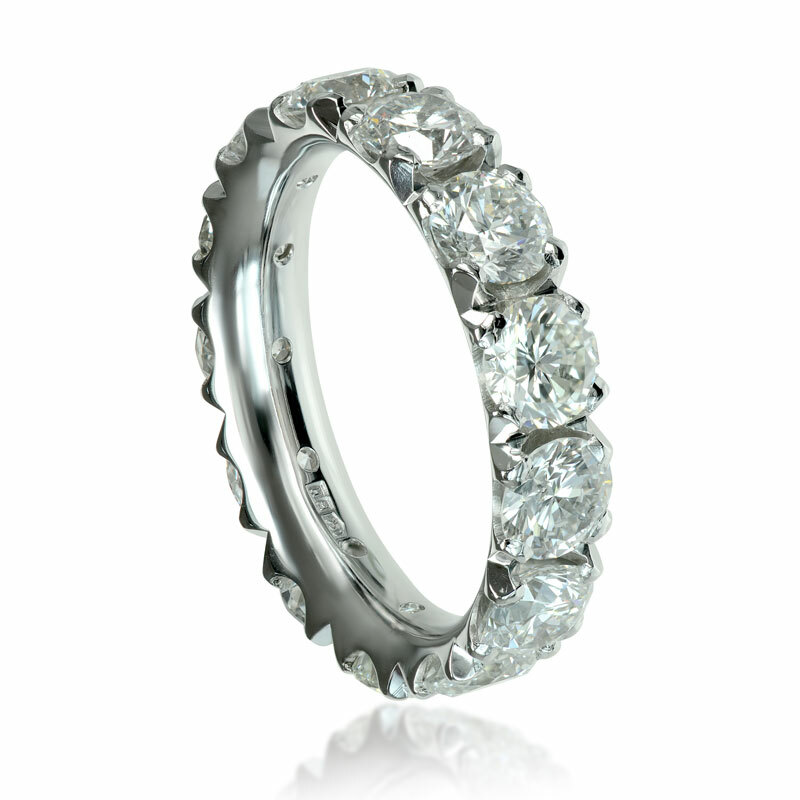 A very desirable ring with baguette cut diamonds set in channel. 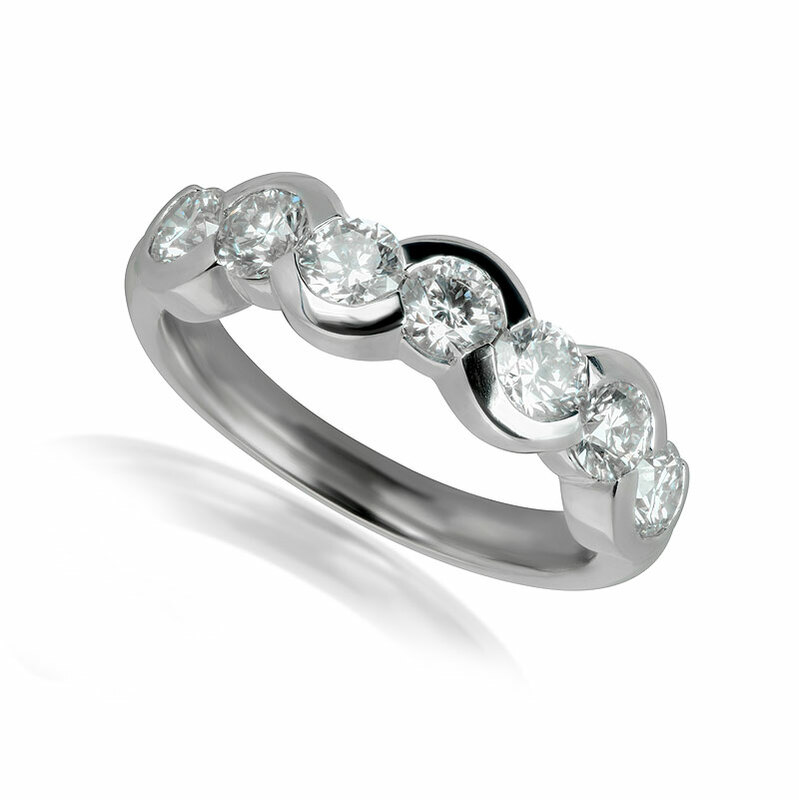 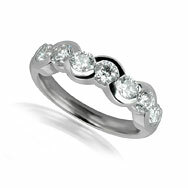 A beautiful eternity ring set half way with round brilliant cut diamonds in a bar setting. 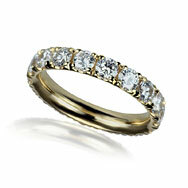 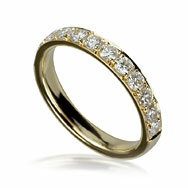 A full set micro pavé diamond band in yellow gold. 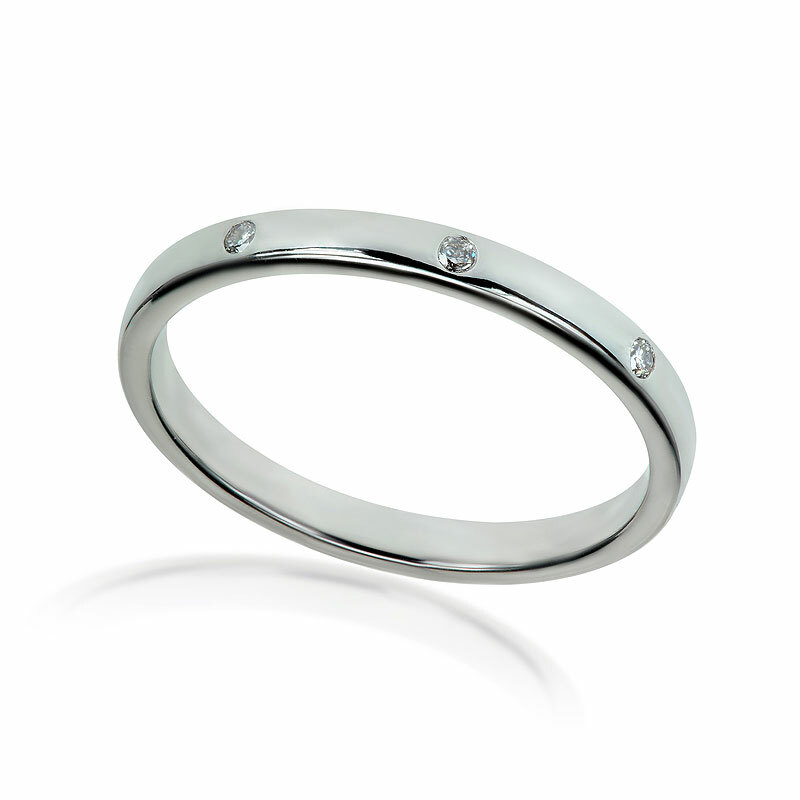 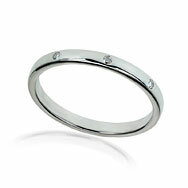 A chunky band loaded with interspaced round diamonds with a square finished setting. 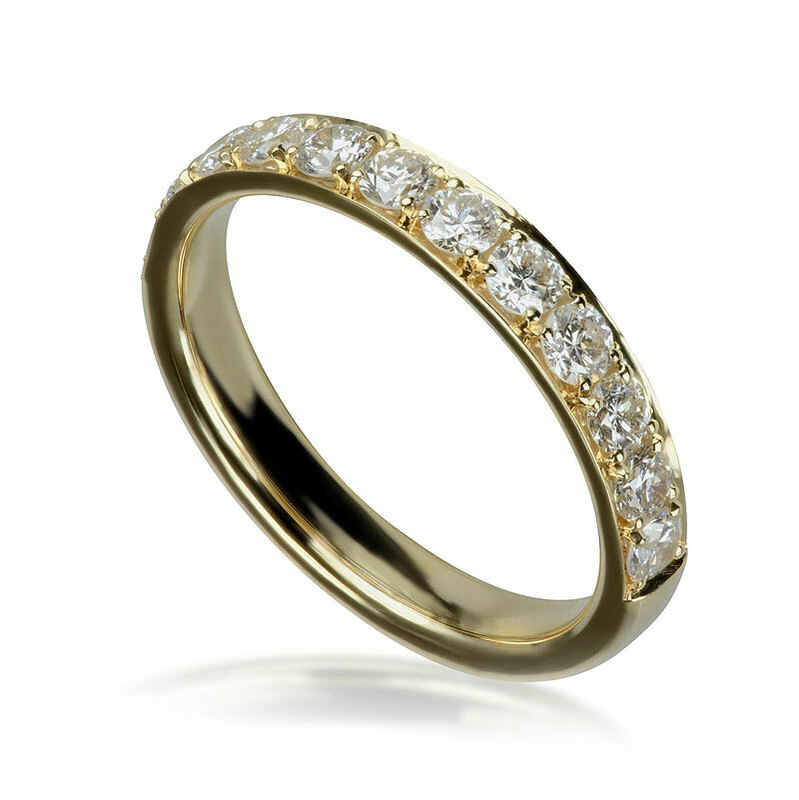 A full set pavé band in yellow gold. Timeless beauty with princess cut diamonds in channel set. Less is more with this interspaced diamond set band. 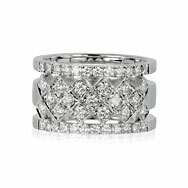 A multi band dress ring set with sparkly pavé diamonds. 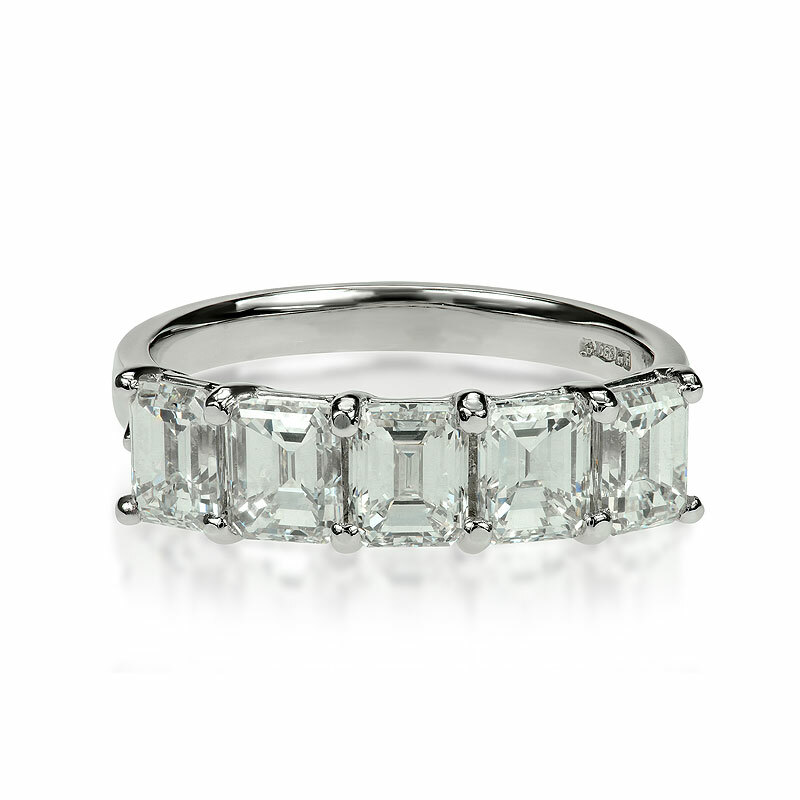 Irresistible beauty and style with this five stone emerald cut ring.